2018 wasn’t a great year, was it? But at least, unlike 1988, 1998 and 2008, we didn’t get relegated. On New Year’s Day we did not get the bounce that we wanted, and needed, into 2019. 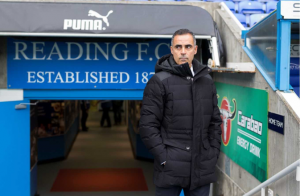 Nevertheless there are still 20 games to go and we wish the new Reading FC Manager José Gomes all the best in what’s going to be a battle to retain our status. An invitation has been extended to José to speak at a future Fans Forum. We will share further information as soon as we get it.